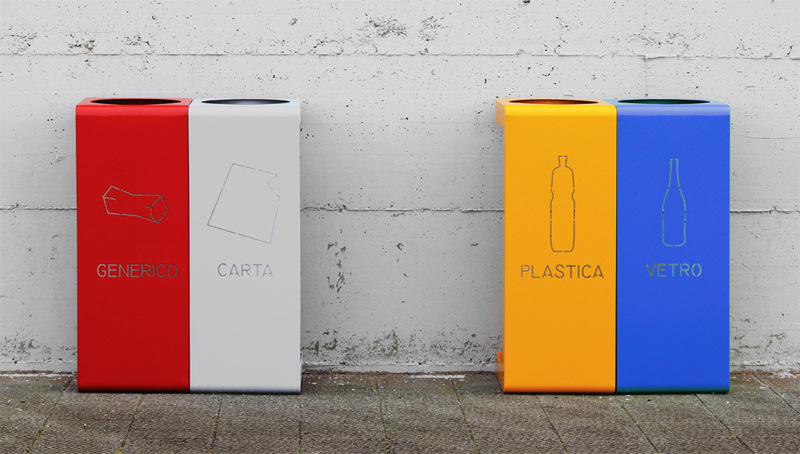 A modular waste separation system, designed for indoor and outdoor public spaces. Manufactured in zinc-plated steel, laser-cut and painted. Gibillero is an easy to use system, offering multiple possibilitieg, both for modules assembling and for customization of colors, text and graphic onto the bins.